Want your mobile apps to work for everyone – regardless of whether they’re using an iPhone, Droid, Blackberry, iOS, or something else? Then let Medora help. 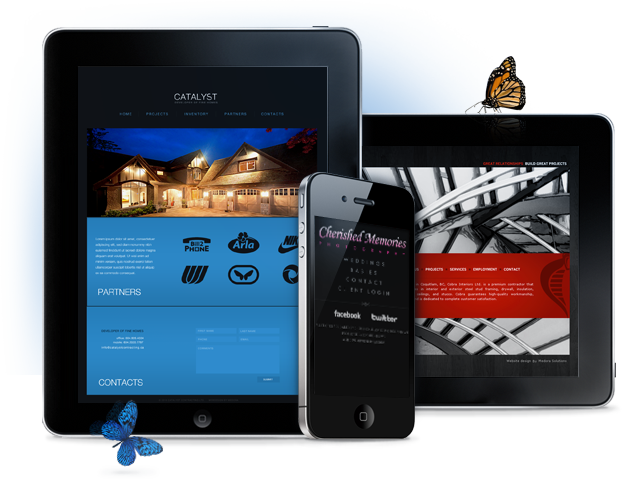 We code in HTML5, which works across all mobile platforms and saves on programming costs. We use innovative software solutions such us PhoneGap framework that allow us create mobile applications faster and at a lower cost. Mobile applications might be a relatively new art, but that doesn’t mean your mobile app shouldn’t be up to the highest standards. Whether your customers are coming to you via iPhones, Droids, or other next-generation mobile devices, we’ll design an app that loads quickly and correctly every time. Mobile app design isn’t just about making things smaller; it’s also about making them scalable. At Medora we take app performance seriously, and that is why we use cloud services such as Amazon CloudFront to their max. We utilize fast-loading layouts and graphics with low ﬁle sizes, meaning that your mobile app will open up more quickly, without causing your customers to incur heavy bandwidth charges.